You don’t see too many conservative firebrands coming out of southern California. However, YAF alumnus Stephen Miller managed to shake up his very liberal and culturally diverse Santa Monica high school with his fearless activism. It all began with his school’s anti-American response to the terrorist attacks on 9/11. Through his successful activism, among other things, he was able to re-instate the district policy that required the “Pledge of Allegiance” be recited in classrooms and made sure that the teachers at his high school talk about the Iraq War “in an even-handed way.” But, Stephen Miller didn’t stop there. As a student at Duke University, Miller participated in YAF’s 9/11: Never Forget Project, receiving school funding for the memorial, and hosted a campus lecture featuring David Horowitz. Never one to shy away from controversy, he frequently wrote articles about race and diversity in the campus newspaper, the Duke Chronicle, and was a staunch defender of the men’s lacrosse team when it was embroiled in controversy. Upon graduation, he worked on Capitol Hill for former U.S. Representatives Michele Bachmann of Minnesota and John Shadegg of Arizona. In 2009, Miller began working for YAF alumnus and Alabama Senator Jeff Sessions, working his way up to communications director in 2016. It was in this role that he and Senator Sessions helped to defeat Obama’s immigration reform bill and launch Miller’s career into presidential politics. 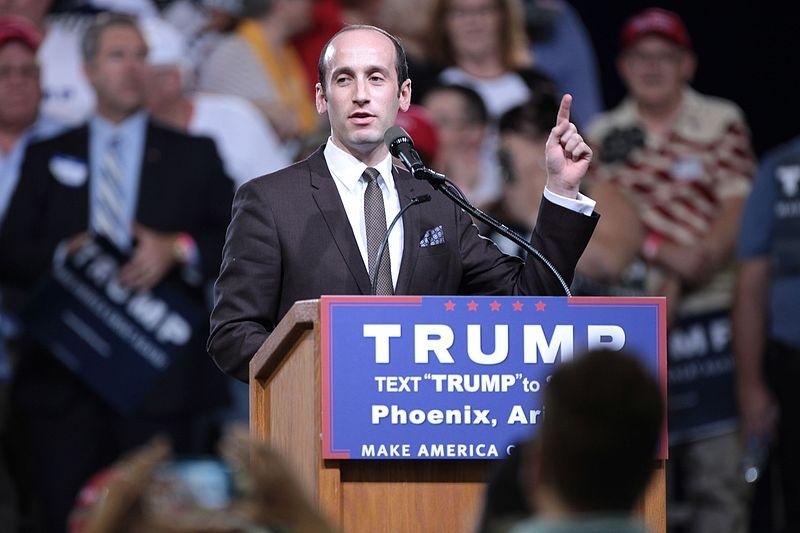 In January 2016, Miller joined Donald Trump’s presidential campaign as a senior policy advisor often speaking on behalf of the campaign, warming up crowds at Trump rallies, and writing the speech Trump gave at the 2016 Republican National Convention. He was then named head of Trump’s economic policy team. After Trump’s victory, he was named national policy director for the transition team and now serves as senior advisor to the President for policy. He has accomplished all of this at just 31 years old.